Can the whole world please be warned that this Zimbabwean woman is not a human rights defender.Please desist from donating to any of her unregistered charities she purports to run in UK and many places. Over 109 Zimbabwean women in the UK have finally come together to do a joint program to stop cyber-bullying by a woman who masks as human defender and who has duped thousands of Zimbabweans to join her Facebook as well as soliciting donations since 2009 for unregistered charities. 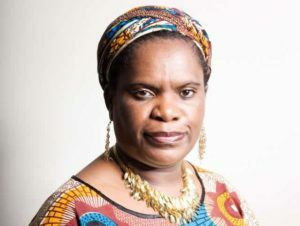 Records show that she also duped home office into granting her asylum at the expense of many well deserving Zimbabwean women after Canada had found her claims false and fraudulent. Her encyclopedia which she fraudulently set up states she is a human rights defender but in reality she is double faced and has used that online record to dupe many in UK. A total of five women have lost cash to her. She operates numerous news websites in UK and Zimbabwe and targets human rights defenders, charity leaders and anyone deemed successful. Recently she targeted a woman running a community online empowerment for women in UK who recently got awarded for her community work in UK. Hundreds of men and women have been defamed through her websites and many have lost jobs with their employers. Men and women have made reports to Birmingham police who seem not keen to investigate and establish nature of her misinformation, harassment and threats to ordinary Zimbabweans in the UK. Meanwhile women are uniting for action one of which would be to launch an anti cyber-bullying campaign in Birmingham where Vio Mak is thought to reside. A formal petition jointly signed by the women will be presented to UK prosecutors and to Home Secretary Theresa May to investigate the number of community men and women abused through her many websites and whose livelihoods have been ruined. A community page has been set up and Zimbabwean women have asked the world to add their voice. Meanwhile the Zimbabwean women have made appeals to pro bono human rights lawyers to advise on how best to proceed with suing for damages collectively in UK courts. Zimbabwean women are appealing to anyone who might have been victimized; their charities, families and friends and just anyone who support this anti cyber-bullying campaign to join the page. Every little helps!!!!!! Women wont stop till they get justice !!!! Please note that Facebook banned her but she keeps using false names to reopen the pages. Whenever you spot her pages on Facebook please alert Facebook Team and you can let them she was long banned.